Do you ever feel like everything is going wrong and you just can't get anything right? Lately, that's me. Let's face it; some days are just HARD. (Ok, some weeks/months are that way...) I love my family. I love homemaking. I love the animals and scenery and solitude of the homestead. Sometimes though, I need to step back and get a fresh perspective on things. I can't always avoid difficulty in a good book or chick flick. Comforting or Refreshing Drink. Tea, coffee, lemonade, hot cocoa... Whatever helps. Sometimes a fresh fruit smoothie with yogurt and a dab of honey in a pretty parfait cup will help clear the head and brighten the mood. Nap. Yes, sometimes you just need to lay down and rest. Plug the kiddos into the tube & allow yourself a little doze. Think about it, when they are tired and grouchy you know they are sleepy. Some ladies can "power nap" for 5-15 minutes, but I have to have at least an hour or I'm more tired than when I laid down. Go to bed earlier. This is hard. You're either a night owl, or you're married to one. (The latter for me.) Sometimes I have to stick headphones in with Bible or music and just try to sleep even though everyone else is still up. Hard, but not impossible. Devotional. I love devotional books. I know reading directly from the Bible is best, but sometimes I don't know where to start or feel like I need something in context... A good devotional will give me a direction, encouragement, and give me pertinent scriptures to help pull me through. Create. Scrapbook, sew, bake a new recipe (or an old favorite)... Draw, paint, craft, decorate... Whatever helps. Take a Walk. I'm a wimp, so if the weather is bad (or even the least bit uncomfortable) I dance around with the children, stretch, or bounce on the exercise peanut thingy. Just move around & get the blood flowing. What are some things you do to help lift your spirits? "If you’re anything like me, your to-do list is never-ending. I always feel like I can fit in just one more thing, or pressured to do one more thing..."
Singing always lifts my spirits. If that doesn't help, then going on a walk usually does. I just need to get out of the house once in awhile and I can't right now. Thank you for your list, these are some things I can do while "stuck" at home. I understand the predicament April. I spent my time on bedrest learning new handicrafts I knew I wouldn't have time for later. Took me 3 whole months to knit one blanket with #5. I was so frustrated, but then so proud to wrap him up in it. I'm praying for you! We've definitely had one of those weeks, too. Thanks for the suggestions! Thanks for linking up Leesha. Your tips are so helpful! Music is my go-to when I need some encouragement! And a good book while sitting in a hot bubble bath is my favorite way to relax. *sigh* sounds so good right now! This is so great, I have had these days, plenty of times. Days I feel I am losing my everlasting mind and ready to run for the hills! 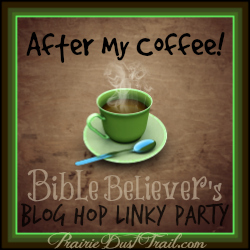 Thanks for sharing and linking up at Favorite things Friday! Hope to see you again this week! I'm so glad you stopped in for a visit! Great tips! Thanks for sharing & linking up to Favorite Things Friday with Simply Rachel & Hip Homeschooling!